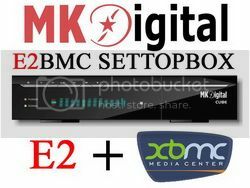 MK Digital Cube E2BMC Linux HDTV Satellite Receiver provides you with everything you need for a cozy movie night. Image (1080p Full HD) and sound is passed in excellent quality. The fast switching time is another feature.